Glasgow Celtic and Eastleigh qualify for the Main competition knockout stages, Kitchee and Yau Yee Select go into the Main competition Plate Quarter Finals. Kitchee are one of the proverbial trophy contenders in Hong Kong, a side that you cannot underestimate in any competition especially when on home soil. To Kitchee’s advantage the game kicked off in a 34-degree sunny day, totally different to the conditions that Eastleigh had trained in the two previous days. The game ended goalless with both sides obviously unsure of their opponent’s capabilities. The closest either side came to scoring was through Eastleigh’s Chris Mason whose second half shot rolled agonisingly the wrong side of the post. A point a piece though for their first games. The Yau Yee Football League is the most established football league in Hong Kong with over 50 teams in four divisions and this was their select side. Eastleigh were more positive than in their opening match and with Yau Yee having lost their opening fixture to Glasgow Celtic they also needed a victory. Eastleigh were in front though within twenty five seconds. Trialist Michael Green, previously with Christchurch and New Milton, rifled home a strike from the edge of the box. Yau Yee struck the bar in the third minute of the two seven minute halves through Chris Davis. The game swung from end to end though Eastleigh never really looked in danger of letting their lead slip but finally made sure with a second goal on twelve minutes fifteen seconds when Brett Williams produced an excellent individual goal. It was imperative that Eastleigh avoided a defeat in this game by more than a single goal to enable them to qualify for the knockout stages of the Cup competition against a Glasgow Celtic side that included striker Gillian Sheridan who had played for the Celtic first team in the season that had just ended European Champions League match with Manchester United. The only goal of the game came on two minutes twenty-five seconds when Anton Kurakins shot was pushed away by Freddie Toomer but only into the path of Milan Misum to shoot home. Brett Williams had a fine match for Eastleigh and caused the Scottish defence major concern as Eastleigh searched for an equaliser. Shortly after the goal, Williams’ shot was cleared off the line then twice more in the first half Williams made himself space for goalbound attempts but both were off target. 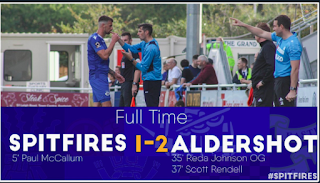 The major talking point of the match though was a penalty award that was not given for Eastleigh when it appeared to the majority of the crowd that Williams had been upended in the penalty area but Premiership referee Mike Riley in charge of the match saw no infringement. A single goal defeat though saw Glasgow Celtic progress into the next round as group winners with Eastleigh as runners up. All matches at this stage of the competition should be tough and this was certainly true in this fixture as Eastleigh were to ply their trade against last seasons tournament champions Aston Villa. 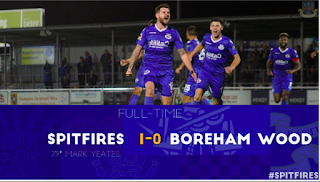 Freddie Toomer made a save from a Barry Bannan free kick early on but the Eastleigh keeper was powerless to stop the opening goal on five minutes thirty six seconds as the matches were extended to ten minutes each half. Andreas Weimann powered home a shot from the edge of the box to give Villa the lead. The closest Eastleigh came for an equaliser was shortly after the goal when Adam Wiltshire’s long through ball was flicked on by Brett Williams but Michael Green saw his effort saved by Villa keeper Elliott Parish. Just prior to the interval Villas Dominik Hofbauer drilled a shot across the face of the Eastleigh goal. Thirty seconds in to the second period Marc Albrighton had an effort pushed away by Toomer and the keeper had to quickly recover to smother a rebound effort from Weimann. On eleven minutes thirty-four seconds Villa did add a second, Albrighton scoring and with Eastleigh pushed out in attempt to claim a goal back, a set piece saw Gary Gardner complete the scoring on fourteen minutes twenty seconds. The result meant that Villa progressed into the semi final stages of the competition and a tie against Glasgow Rangers whilst Eastleigh enter the Main Plate competition for the losing Quarter Finalists where they meet West Ham United. The Eastleigh interest in the 2009 Hong Kong 7s ended with this defeat at the hands of West Ham United. 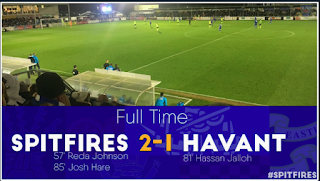 In a fixture that was always in doubt until the final whistle, it was West Ham that had the better opportunities but Eastleigh were unlucky not to have at least had a draw from this fixture. Anthony Edgar went close for West Ham on four minutes whilst shortly after Brett Williams found himself in a one on one situation with West Ham goalkeeper Peter Kurucz but the West Ham keeper won the contest. The first goal of the match arrived on eight minutes thirty nine seconds, an Eastleigh attack was broken down and a quick West Ham counter attack found Daniel Kearns on the edge of the box stroking home to put West Ham ahead. There was only thirty seconds remaining on the clock when west Ham added their second to clinch their victory when an excellent move by the West Ham side ended with Oliver Lee sliding the ball into the path of Ashley Miller to plant a firm shot low down past Toomer.